Seems like a fairly brain-dead question, doesn’t it? There usually comes a time, either during your preparation to get into an MBA program or a few months into the program when you ask yourself, “Is this really worth it?” And it is a valid question! Having second thoughts about it? Tell us in the answer below and we will help you figure it out! 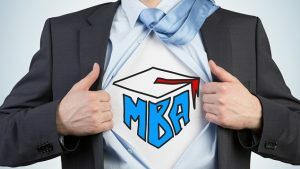 In the meanwhile, check out this article by an IIM Bangalore student to know what experiences MBA gives you and if MBA is the right option for you. Check it out here.